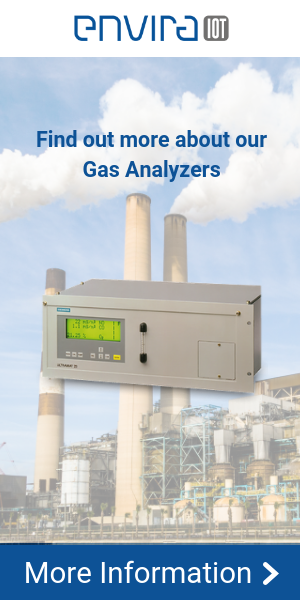 What types of gas analyzers are there? A wide variety of gas analyzers can be found in the market, and there are several types of gas analyzers, depending on the use intended. They are small analyzers, accurate, easy-reading and easy to handle, with a resistant design that can measure many different gases at the same time (modular). Combustion gas analyzers (SO2, NO, NO2, CO, CO2 and O2). Very useful to optimize punctual monitoring of combustion processes. Gas analyzers for people’s protection (O2, LEL, CO, H2, SH2, among others), usually in closed spaces. These analyzers usually have visual and acoustic alarms. They are complex gas analyzers with a high cost; require specialized maintenance and operation, and they provide high precision and selectivity in measuring. Usually for monitoring when there is a legal requirement or to control critical processes. Emission analyzers (CEMs): Used to evaluate the compliance with gas emission limits in industries. They have a NGC1 certificate, thus guaranteeing functioning characteristics in certain conditions. This level of guarantee is evaluated by an UNE-EN ISO/IEC 17025 accredited laboratory. Air quality analyzers: They are analyzers whose monitoring principles comply with the reference standards established in the applicable regulations. They must have a favorable test report about their compliance with the reference standard or equivalent method, issued by an UNE-EN ISO/IEC 17025 accredited test laboratory. Analyzers in public and private air quality monitoring stations belong to this group. Process analyzers (CEMs): Used in the control, monitoring and optimization of industrial processes, where precision and reliability are essential, as well and in the control of combustion processes (thermal power plants) and reduction of emissions (NOx), among others. They are gas analyzers that use state-of-the-art technologies. They are small, low-cost, modular, autonomous and allow the simultaneous monitoring of gas and other parameters such as temperature, relative humidity, noise, solar radiation, etc. This kind of analyzers allows to monitor and control both at stationary and mobile locations, transmitting the information gathered through all channels of communications available. They are ideal for previous research and control of large areas and places with difficult access. ENVIRA IoT has been accredited by ENAC to carry out calibrations of gas analyzers both at the stationary laboratory and at the installations. Besides, we are official distributors of products for continuous monitoring of air quality and equipment for monitoring industrial processes, such as Siemens, Teledyne API and Met One Instruments. Do you want to know more about Envira IOT?